The weather is slowly getting better here *yay* so I can finally wear some of my new summer clothes. They have been piling up for a while now with all the price tags still on it! I got this striped trouser from H&M last week when I was in the mood of trying something new.. And same goes for my hair! I've always had pretty long hair since the early days in kindergarten and this is probably the shortest coupé ever since. Not sure if I'm happy or sad about it, maybe it just takes some time to get used of it. What do you think?! I just came back from my 'early birthday' trip to Verona and there is so much work for me to do #nofriyay, so I'll leave you guys with this. Enjoy your weekend! Would never think those trousers are H&M - they look great. 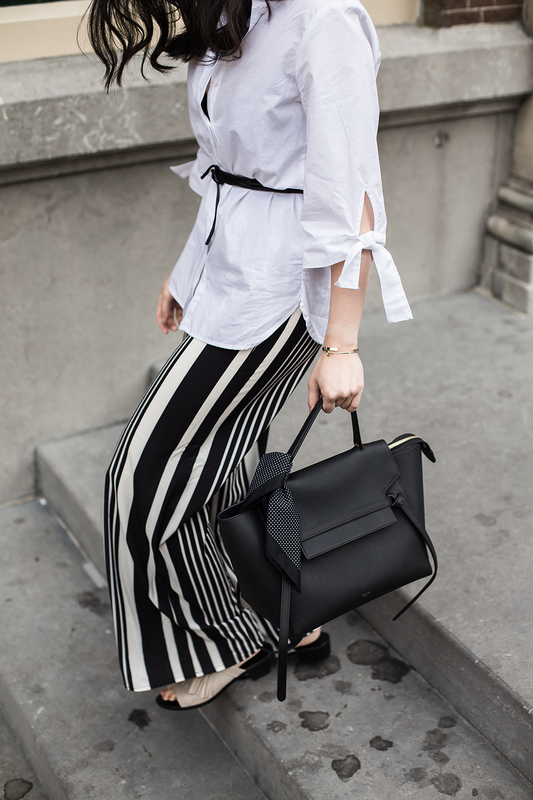 Been on the hunt for the perfect summer striped pant! Yours are so gorgeous, babe! I love your hair! How do you style it? How can anyone look so gorgeous? !